What is the name of this tool that is used to clamp a piece of wood for drilling? What is the name of this tool in the picture? 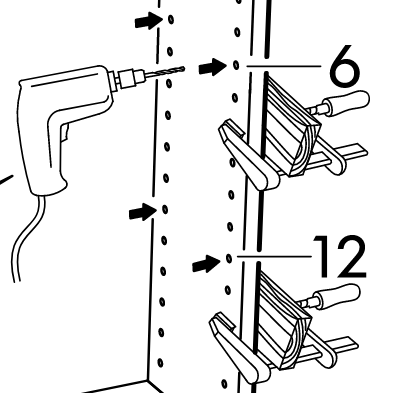 It seems that the tool is used to clamp a piece of wood to a furniture to avoid cracking it when drilling holes? What precisely does it do? It's a G-Clamp (or C-Clamp if you prefer) with a piece of scrap wood. The clamp clamps the scrap wood to the back of your workpiece so that, when the drill bit pops through, it doesn't break the back of the workpiece but instead drills a neat exit hole.